NETIZENS exposes the proliferation of cyber harassment and abuse as it spreads from the web to the most intimate corners of individuals’ lives. Challenging the notion that cyber harassment is only online, Netizens reveals the repercussions that targets often face: lost jobs, thwarted educations, damaged reputations, and countless hours devoted to containing attacks against a backdrop of mounting legal fees and psychological distress. 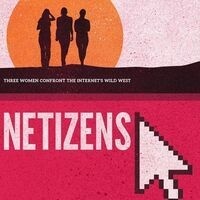 Netizens details these realities in the lives of three women who have been subject to cyber abuse as they strive for equality and justice online: Carrie Goldberg, a New York City attorney; Tina Reine, a successful businesswoman in West Palm Beach; and Anita Sarkeesian, the creator of a popular web series critiquing representations of women in video games.